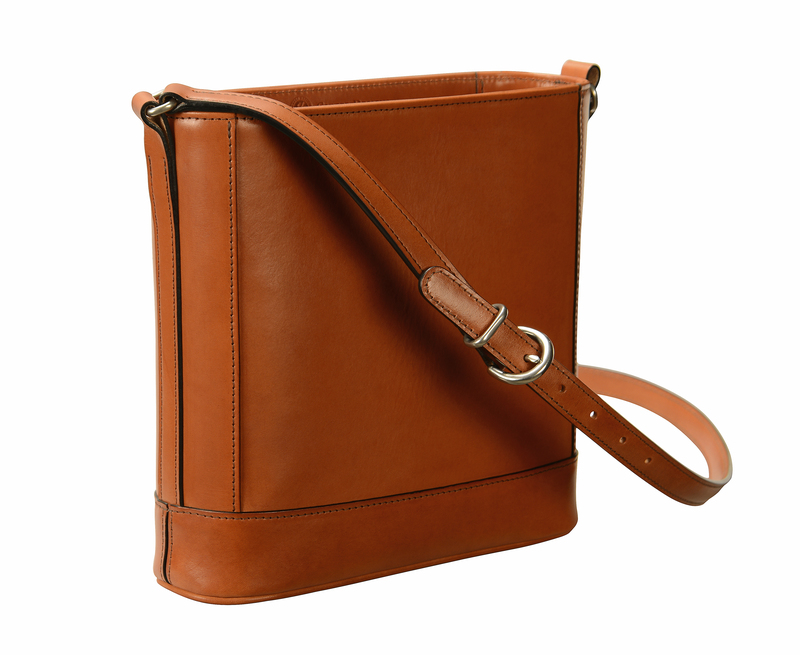 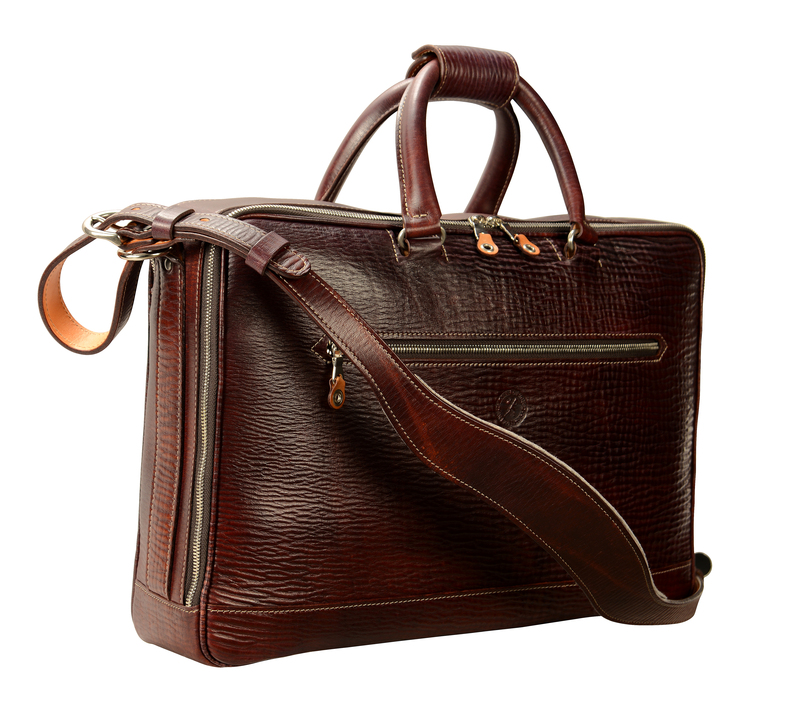 17″ hand-burnished espresso Club Bag: $1125. 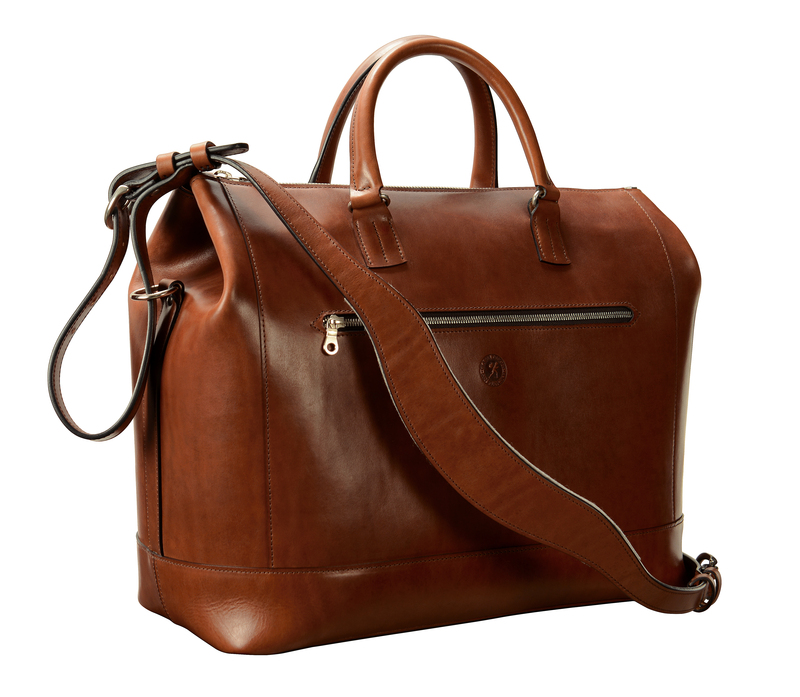 (Also available in hand-grained, hand-colored leather: $2250). 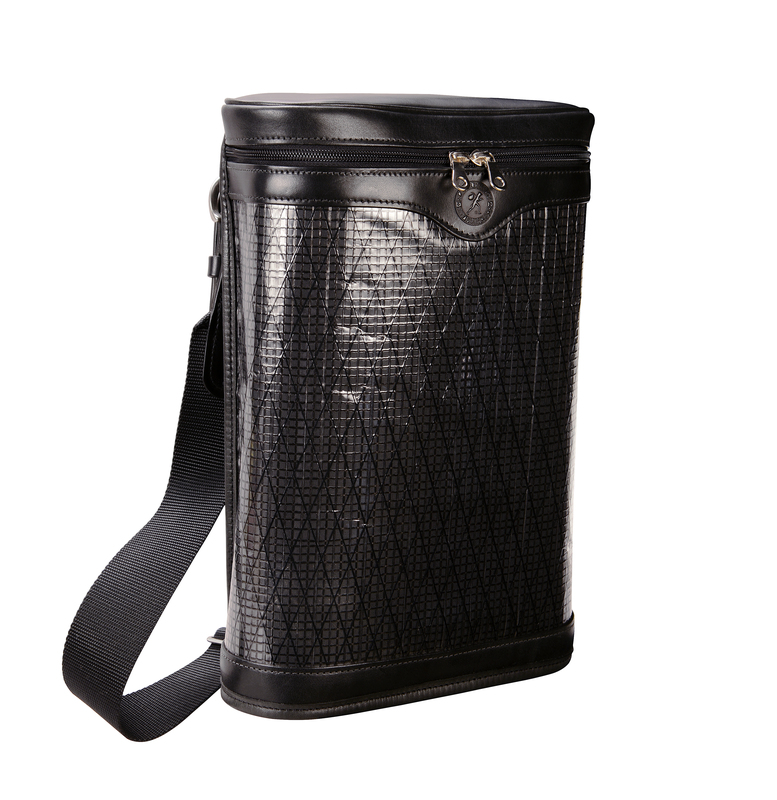 Hand-burnished black 2 bottle Wine Bag with sailcloth. 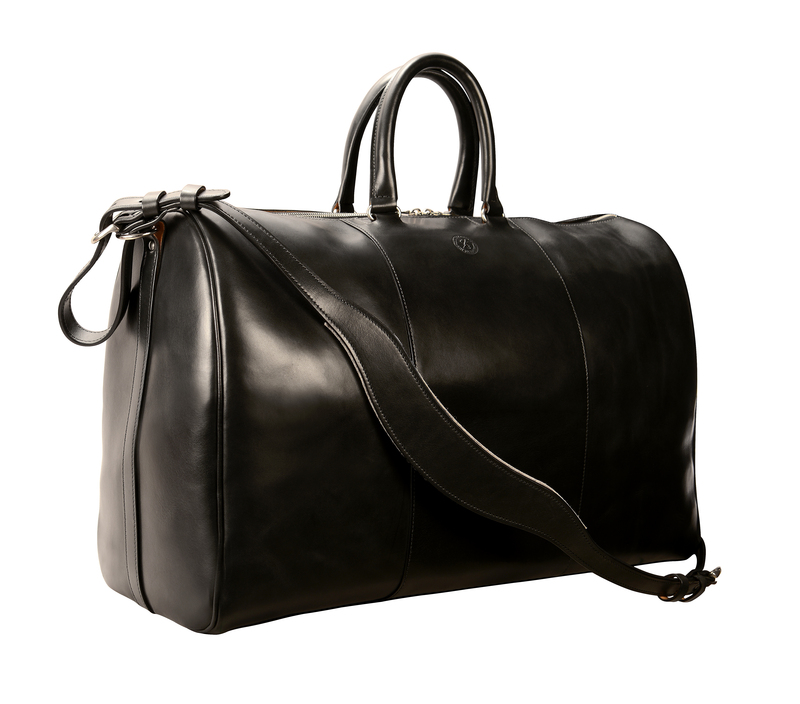 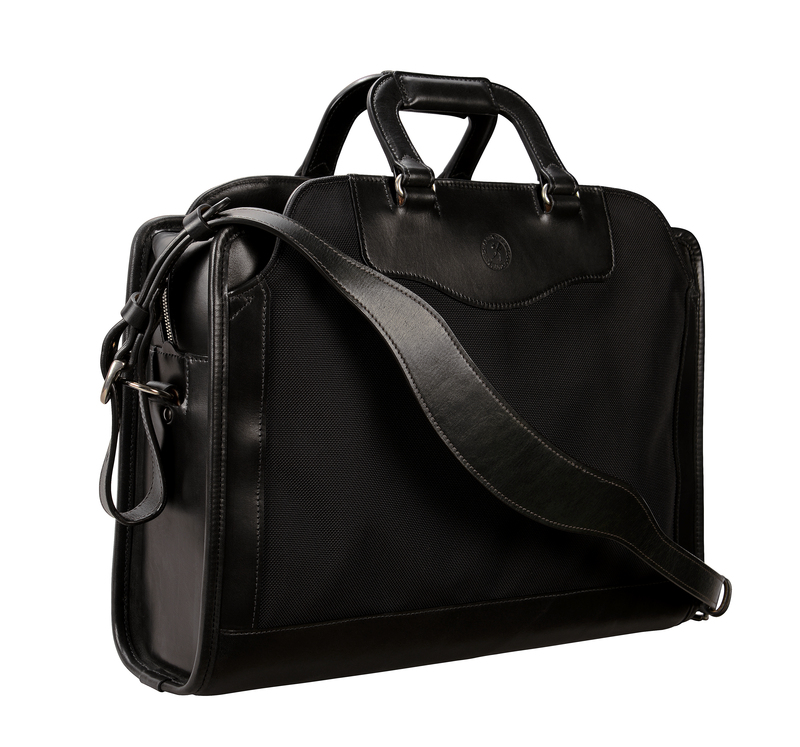 19″ Week-end size hand-burnished black Duffel Bag. 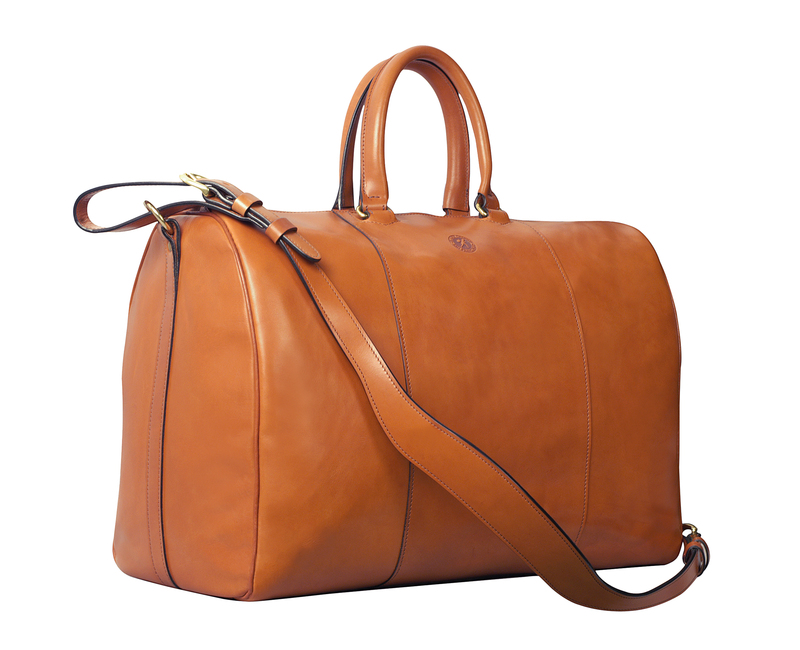 19″ Week-end size hand-burnished chestnut Duffel Bag.